We are a Fitness and Physiotherapy company, based in Halifax, West Yorkshire. We specialise in sports performance namely running based sports and rehabilition from injury. 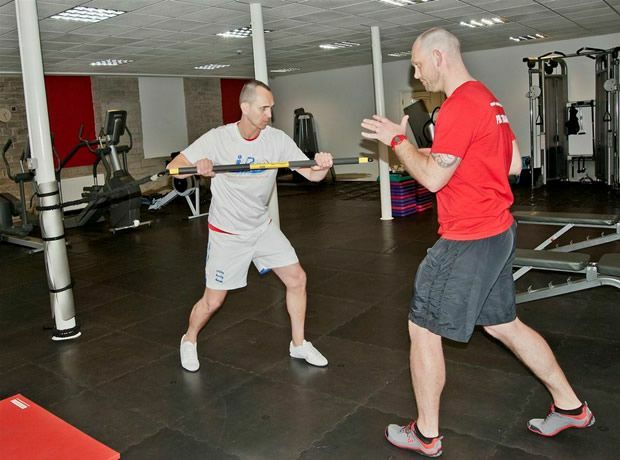 We have our own private training and rehab centre, in Halifax town centre, which is full of the best equipment in the world for Rehabillition and sports conditioning. Being based in Halifax we are handy for clients in Ripponden, Sowerby bridge, Elland, Mytholmroyd, Hebden Bridge and Shelf. Most conventional training and health care is based on what we call "sticky plaster" therapies. That is, they look to treat the symptom, site of pain, or visible problem, rather than looking for the root cause. If you want to lose body fat, just eat less fat and train more. If you want to put on muscle - just eat more and lift weights. If you've got raised cholesterol levels - eat less cholesterol. These "one size fits all" methods are outdated, have a very poor long term success rate, and often cause more problems than they solve. How Evolve Fitness & Physio is different. At Evolve Fitness & Physio, we get to the root cause of your health issues and make changes from the inside out relative to your specific, genetic requirements. We assess everything from organ function, to cardiovascular, skeletal and limbic systems. metabolic type, bio-mechanical analysis, posture, muscle range of motion, core function and spinal curvatures, combined stress levels, plus a complete analysis of your current training and nutrition plans. From this baseline, we compile a detailed and progressive personal health plan to guarantee you results and work with you as your own personal health coach, from the corrective stage, right through to high performance exercise. No short term success, Evolve fitness and Physio specialists ensure long lasting total health. Whatever your health goals, at Evolve Fitness & Physio we have the complete health solution for you.